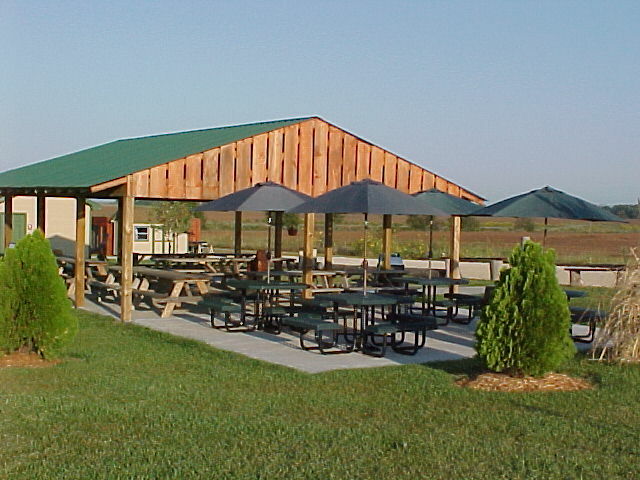 Eagle Valley Raptor Center Inc. was formed in 2002. 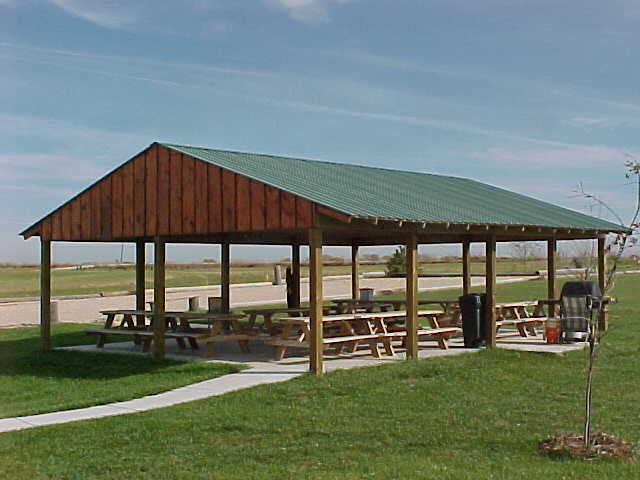 We purchased 20 acres of land near Cheney, Kansas and started construction in 2003. After three years of incredible work, we feel that we have created a great facility for both rehabilitation and education. Creating suitable pens for the injured birds and our permanent residents has been a huge amount of work. Check out the photo thumbnails to see how the work has progressed, or click on them to see the full image. 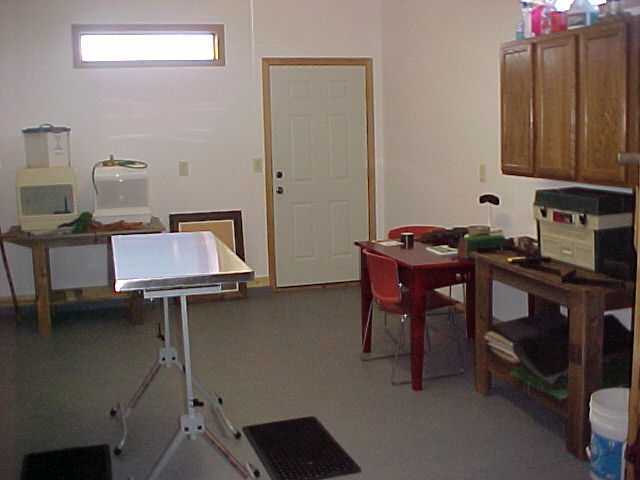 This is our Rehab Room that we converted our 3rd car garage into. It provides a place for immediate care. It also is where we keep the birds that are recovering from wing injuries. 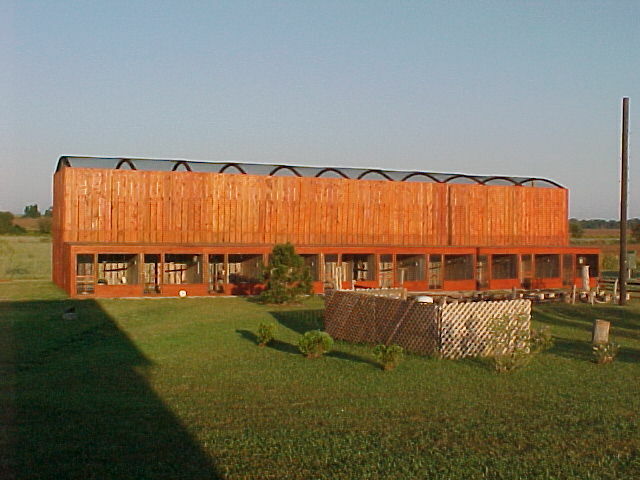 The Flight Pen is 110 feet long by 25 feet wide and 30 feet long. This allows birds to exercise their wings prior to their release. 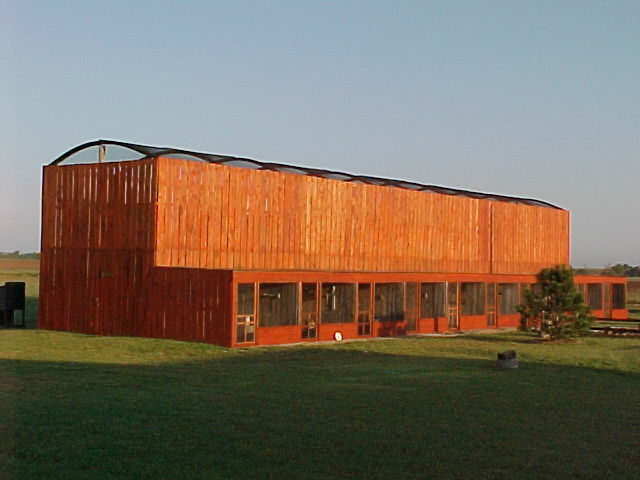 The holding Pens in the front of the Flight Pen house our non-releasable Educational Birds. The Pens are 12 foot long and 10 feet wide. The Pens have a 2 inch wide gapes between each board to allow for airflow and so the birds may have a visual of their surroundings. This is a picture of our Eagles Nest. 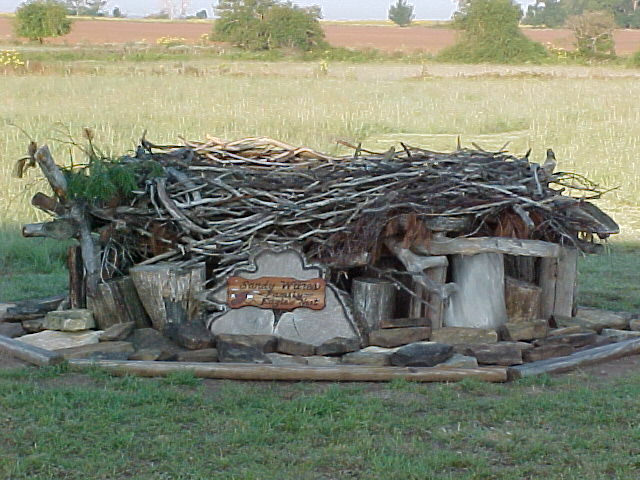 The life-sized nest was constructed with limbs, moss, leaves, native grasses, old Hawk nests, and fur from native wildlife. The nest measures 9 feet long by 5 feet wide. A Bald Eagle's nest can weigh up to 4,000 lbs and be 12 feet deep. Eagles will return to the nest, called an aerie, year after year and add to the nest with new branches, leaves and other materials. The size and shape of the nest is determined by the size, shape and the direction the branches of the trees have grown out. 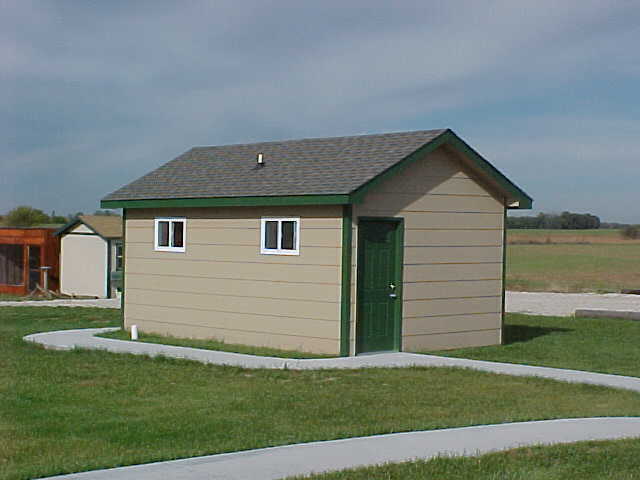 Here is our Pavillion Facility. It can seat up to 60 people for snacks, lunches, cookouts or catered meals. Additional seating for 20 is available next to the Pavilion under our large shade umbrellas. 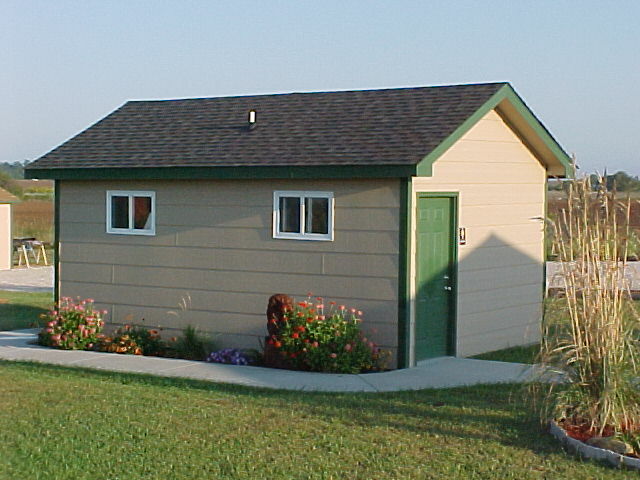 Our guest restroom is conveniently located close to the Pavillion, and is handicap accessible.